Winky Kicks Cancer 2017 has begun! The Winky Kicks Cancer 2017 season began on Friday 9th June with an evening of Bingo in the Memorial Hall, and culminates on 5th August with a music festival at the Hunters Lodge. The programme comprises of a series of widely varied individual events taking place throughout Wincanton and the surrounding area, with plenty to appeal to all ages and tastes. The goal is to raise money for Cancer Research, and there will be plenty of opportunities for you to get involved and support this excellent initiative. Winky Kicks Cancer is an annual event founded by Kate Freeman who was diagnosed with breast cancer in 2013, just two years after losing her dad to prostate cancer. Kate had to have an operation, chemotherapy and radiotherapy to beat the disease. She didn’t let it get the better of her and after her treatment had ended she declared war on cancer. 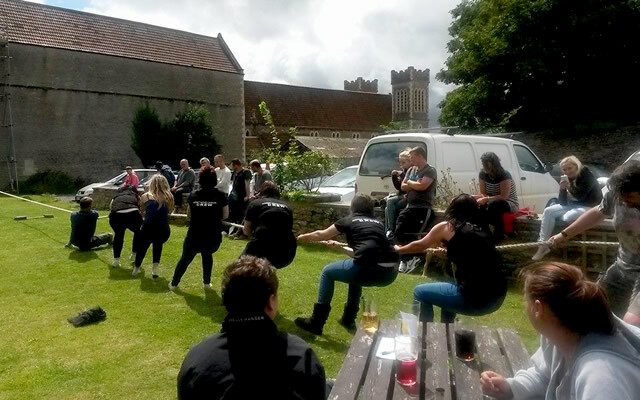 With the help of Paul Stiling and a few others they put together an afternoon of music, waxing, auction, raffle and more, and raised a phenomenal £3,500, all for Cancer Research. In 2014 a few more people got on-board and the event was officially named. 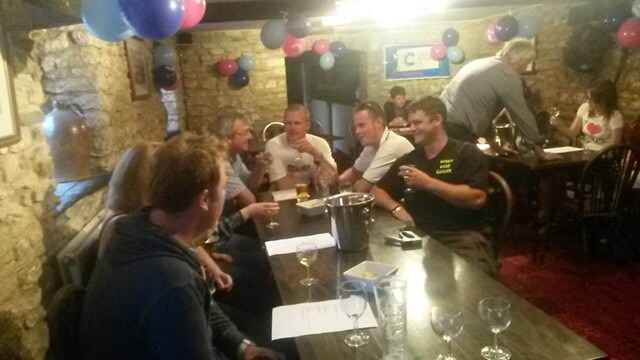 They organised a whole week of fun with lots of different events all around Wincanton, and raised £10,570! In 2015 they raised another incredible £10,000. In 2016 only a couple of small events were organised due to Kate discovering that her cancer had recurred, spreading to secondary cancer in her bones. After a few months preparing for the new battle, and finding the right medication, she decided Winky Kicks Cancer was going to come back bigger and better than ever. Cancer does not mean the end. Kate lives life to the full with her diagnosis, as many others do. She believes that a positive mental attitude can be a very powerful tool. Kate wants us all to stand united and give cancer the boot, raise as much money as we can, and have lots of fun in the process. The following events have already been organised, and you can find them all on the Wincanton Window Calendar. Kate and the team look forward to seeing everyone at the various events and hope that you will help make this year the best yet. For any event information please email or call 01963 202379 or 07727043381. Bouncy castle, face painting and lots more. Teams of four, £2 entry per person. Ticket includes a pull pork roll. Sponsored walk from Uncle Tom's Cabin to The Smithy and back. Sponsor forms can be collected from Uncle Tom's. £1 to sing a song. Three balls for £1.00, have as many goes as you like. Men, women and children's heats. Prizes to be won and a raffle. The proceeds of any tea, coffee, latte or cappuccino served between 9am - 12pm will be donated to Winky Kicks Cancer. Be the star you've always wanted to be and lip sync your favorite singers. Cash prize for best act. Old school sports day with music and food. Fun games for adults and children. Bouncy castle and raffle. 6 categories with 1st, 2nd and 3rd rosettes and a trophy for judges' favourite. Come and play the legendary darts player and see if you can beat him. £5 per ticket, available at Uncle Tom's. Cider bus, £3 a pint, BBQ, train. A fun packed day with music and children's activities. Here is the line-up in no particular order!